The LifeBridge Health Bariatrics Program bases its criteria for patient selection for weight loss surgery on a combination of clinical data and guidelines from the National Institutes of Health (NIH). The surgery will be performed under the guidance of a multidisciplinary team, experienced in performing bariatric surgery. The surgery will be performed in a facility that is properly equipped to care for and treat bariatric surgery patients. The member has a body mass index (BMI) > 40 kg/m2 or a body mass index >35 and <40 kg/m2 with the presence of significant comorbid conditions related to morbid obesity. The member has been severely obese for at least two years. The provider has ruled out metabolic causes of the member’s obesity. The member is at least 18 years of age and under the age of 68 years. The member is well informed of the risks of surgery. 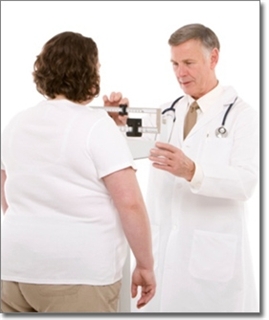 The member is under a physician’s supervision for the treatment of obesity. The member has satisfactorily completed the pre-operative care plan. There is no evidence of active substance abuse. The member has passed a psychiatric evaluation. Any history of binge eating disorder has been documented and discussed. Please advise your patients that, in most cases, these conditions are greatly improved or alleviated after weight loss surgery.